POLICE IN LONDON have renewed their appeal for information after a 17-year-old girl was shot dead in Tottenham. Police were called to Chalgrove Road at 9.35pm on Monday after reports of a shooting. Officers attended along with the London Ambulance Service and found the victim suffering from a gunshot wound. Despite the best efforts of the emergency services, the girl was pronounced dead at the scene at 22.43pm. She has been named locally as Tanesha Melbourne and her next of kin have been informed. In a statement issued this evening, the Metropolitan Police said: “At this early stage it is believed that shots were fired from a vehicle into a group of people, hitting the girl. 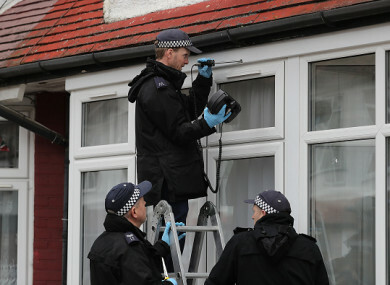 Detective Inspector Beverley Kofi of the Homicide and Major Crime Command appealed to anybody who witnessed the incident or has information to come forward. You may be fearful of repercussions of speaking to police, or have loyalties that you believe can’t be compromised. “We are dealing with the fatal shooting of a teenage girl, and would implore you to do the right thing and come forward,” Kofi said. Extra officers have been deployed to the wider area where the shooting happened, with both uniformed and plain-clothes officers carrying out a range of intelligence-led operations and patrols. Anyone with information about the shooting has been asked contact police on 101 or call Crimestoppers anonymously on 0800 555 111. Email “People who saw girl being shot dead asked to 'do the right thing' and come forward ”. Feedback on “People who saw girl being shot dead asked to 'do the right thing' and come forward ”.